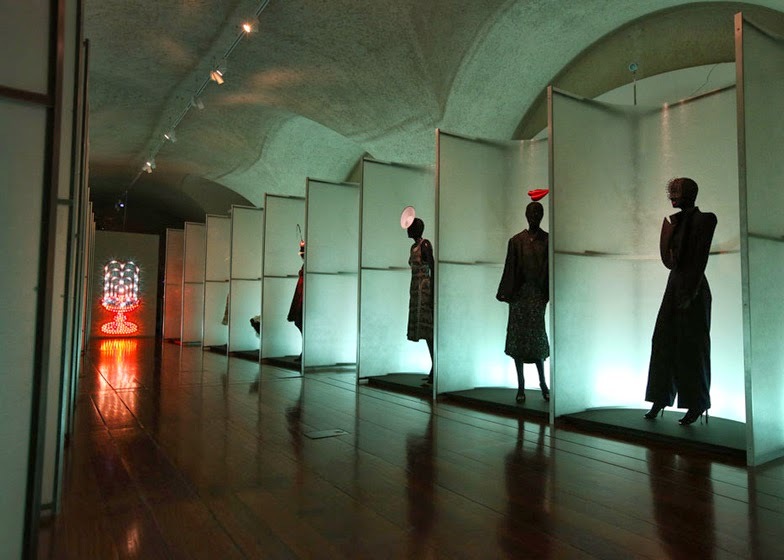 Last January I had the immense pleasure of seeing the Isabella Blow: Fashion Galore exhibition at Somerset House in London. 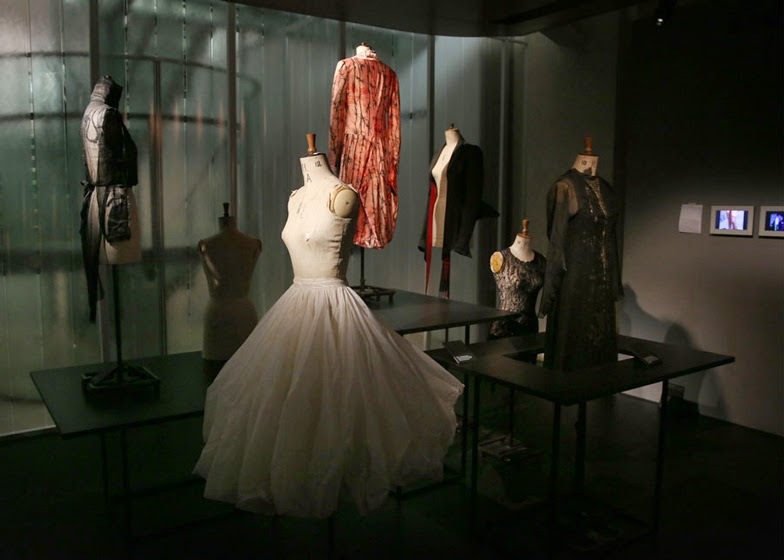 Since the moment my trip to England's capital was finalized, I set my eyes upon seeing this unique show, to have the chance to be intimate with the scores of her amazing clothes by famous designers such as Alexander McQueen or Housseing Chalayan or Prada. But that was not the only reason. 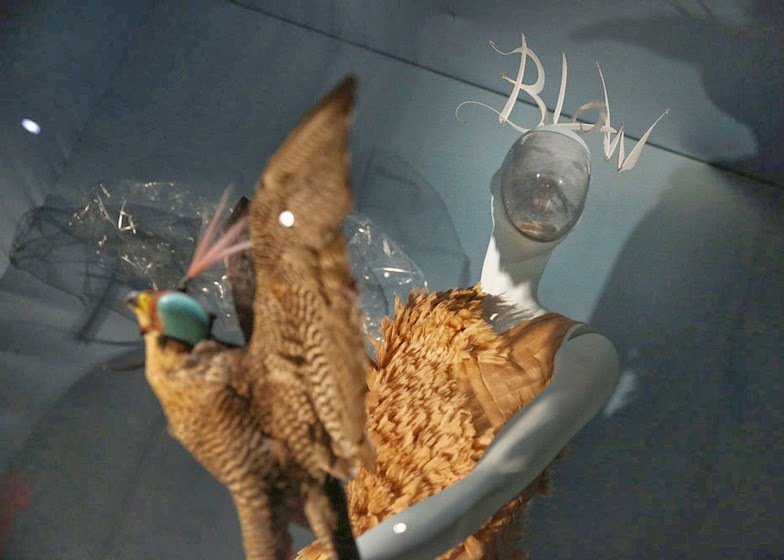 Blow was a unique creature, a woman who had managed to infuse the fashion world with her singular sense of style and aesthetics, her vision and her love for up and coming talented designers. 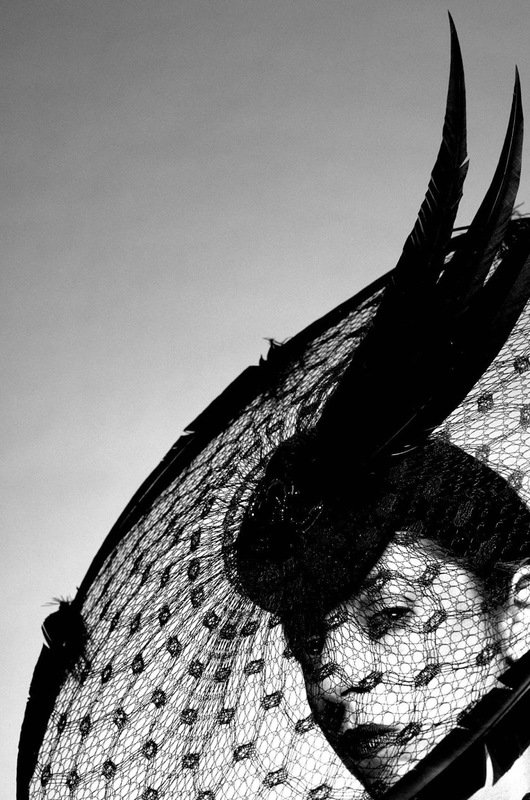 Isabella Blow by Mario Testino, 1997. Image used as the show's poster. Who was she? One of the scores of British aristocracy offspring, born into an infamous family (her grandfather was involved in the White Mischief scandal), she eventually had to work to make ends meet despite her lineage. Born Isabella Delves Broughton in 1950’s post-war Britain, with a family seat at Doddington Hall in Cheshire, her family history can be traced back to the 14th Century – a factor which played an important part in Isabella’s life. Having been brought up in a rarified world of aristocracy, she said in an interview that it was trying on her mother's pink hat that sowed the seed of her love for fashion. The remnant turret of Doddington Castle where she played as a child, incorporated into the ancestral seat of Doddington Hall designed by Wyatt, was also instrumental to her love of medieval aesthetic. Isabella’s thirty year career began in the early 80s as Anna Wintour’s assistant at US Vogue. On her return to London in 1986 she worked at Tatler followed by British Vogue. In 1997 she became the Fashion Director of the Sunday Times Style after which she returned to Tatler as Fashion Director. Driven by a passion for creativity, Isabella is credited for having nurtured and inspired numerous artists and designers. And her amazing collection of clothes really reflects that. 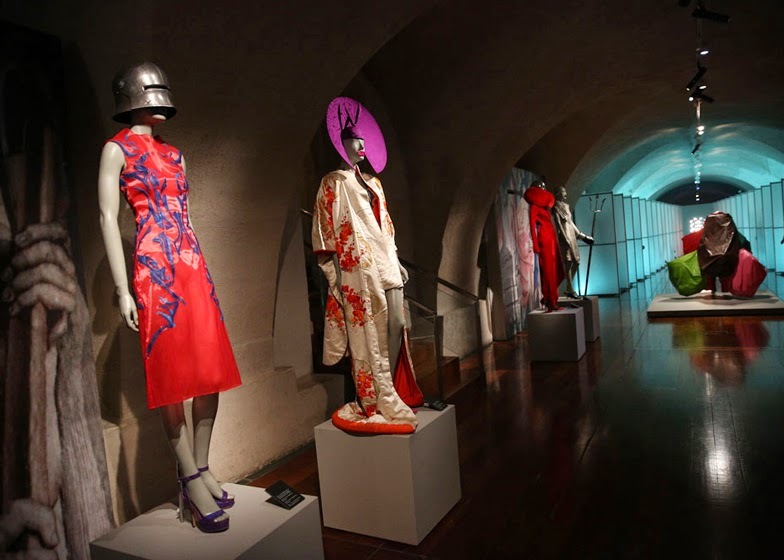 The exhibition showcased over a hundred pieces from her incredibly rich collection, one of the most important private collections of late 20th Century/early 21st Century British fashion design, now owned by Daphne Guinness. 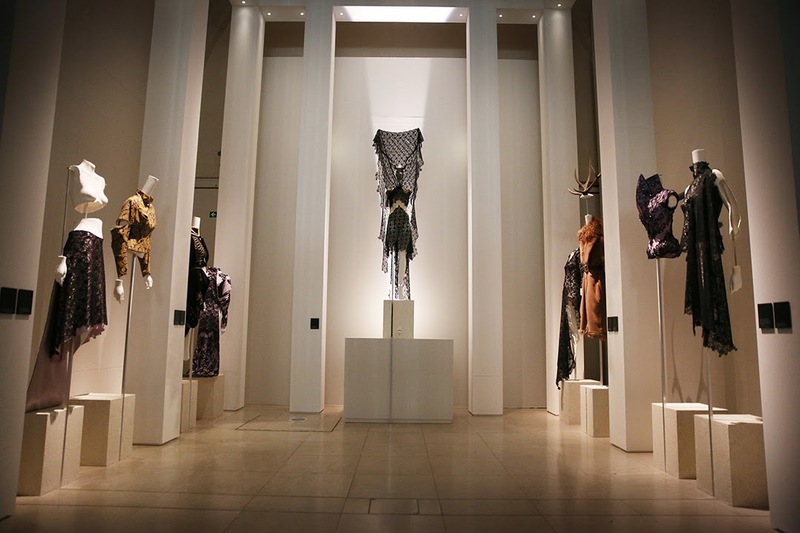 This includes garments from the many designer talents she discovered and launched, such as Alexander McQueen, Philip Treacy, Hussein Chalayan and Julien Macdonald amongst others. From the moment one arrived on the Somerset House Embankment Galleries entrance from the Thames, you got the sense this was no ordinary exhibition. A sense that was confirmed upon seeing the first room, in darkness interrupted by spotlighst focusing on select details of her personal life. The first section of the exhibition explored Isabella’s background, and her British aristocratic ancestral roots. 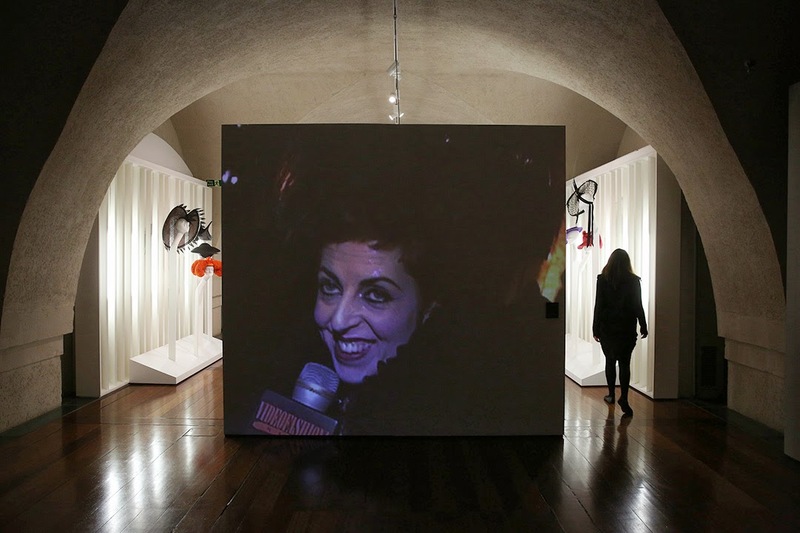 Highlights included family photographs and the sculpture entitled ‘Isabella Blow’ by Tim Noble and Sue Webster, made of various artifacts of her that shaped, when properly lit, her portrait on the back wall. 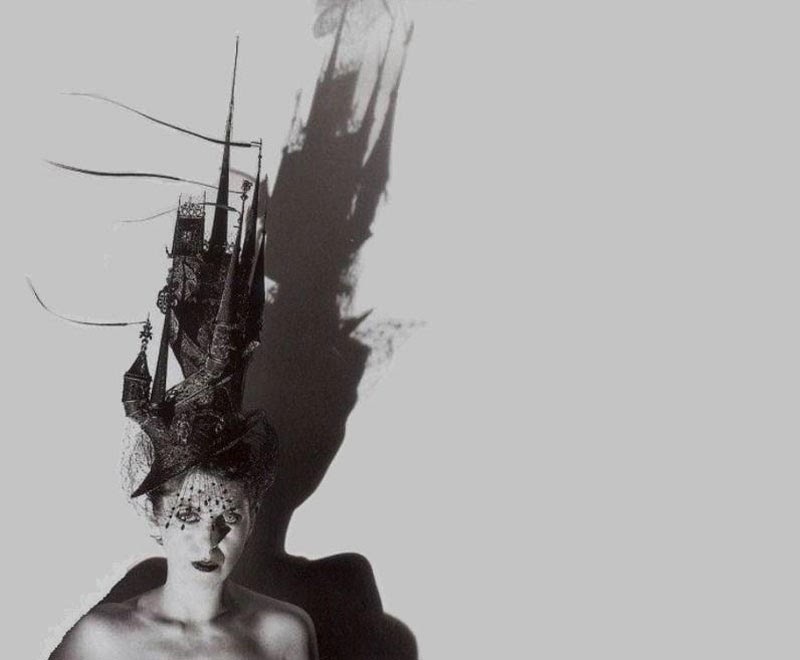 The second section featured pieces from Alexander McQueen and Philip Treacy’s graduate MA collections from Central Saint Martins and the Royal College of Art respectively, including Isabella’s wedding headdress. Exploring the way in which both designers used whatever they could get their hands on to make their garments and hats, this section celebrated the beginnings of their careers and the talent Isabella saw in them and her eye for discovering young talent. 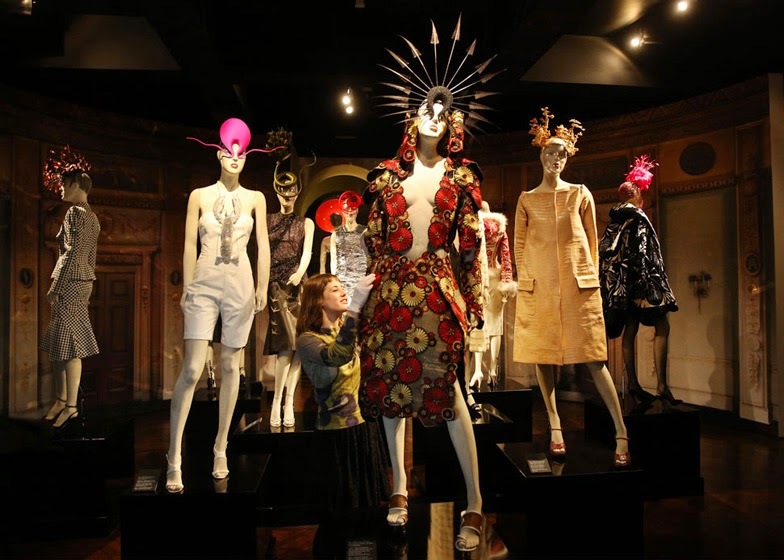 The next section, to which one had to walk up a flight of stairs, exhibited key items from McQueen and Treacy’s AW 1996 collections. McQueen dedicated his AW 1996 collection, entitled Dante, to Isabella and this was his first season to receive international critical acclaim. There was a screen where one could watch the video of the show, an indelible moment in fashion history. The set up of the outfits was really impressive, most of all the outfit with the antler headdress that loomed ominously over the visitors. I got goosebumps seeing all this and they never left me till I exited the show. 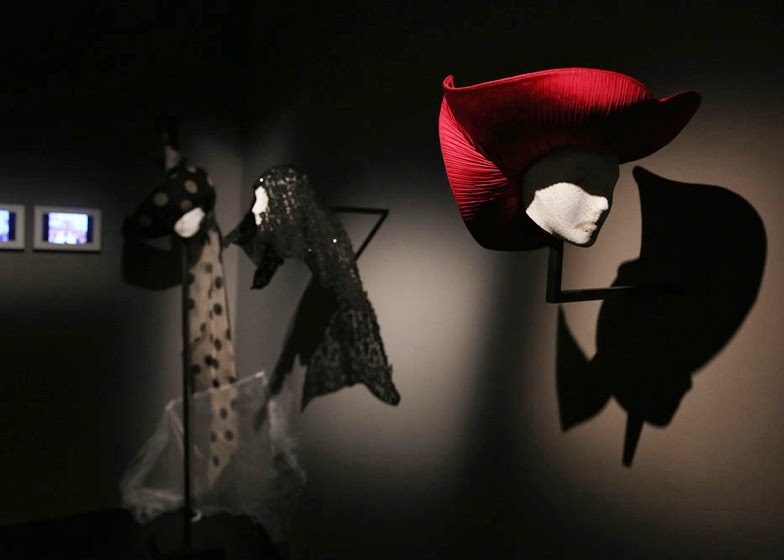 This same year Isabella styled Philip Treacy’s AW 1996 collection, key items of which were exhibited. Again the exhibit incorporated a video of Isabella talking about Philip. 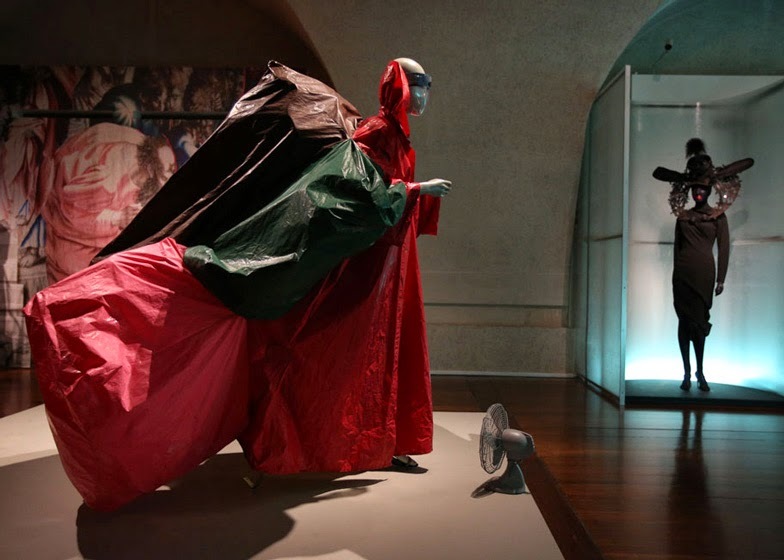 It really showcased these two very important collections, significant not only for the respective designers but also for establishing Isabella as a fashion authority. Some of her personal items were also exhibited here: her notebook, letters, faxes, lipstick and worn shoes. Adjacent to the previous section was a huge hedge installation, inspired by Isabella’s love of the English countryside that displayed groups of clothing from her collection presented in four themes conjuring the fantastical world Isabella inhabited and drew inspiration from, reflecting her love of birds, flowers and the surreal. 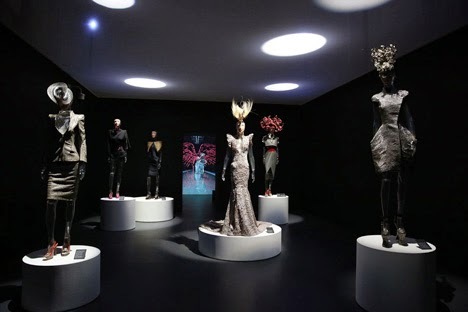 Works in this section showed off a number of Isabella’s favourite designers, including clothing by Jeremy Scott, Comme des Garçons, Julien Macdonald, Viktor and Rolf and Undercover alongside accessories by Philip Treacy and Erik Halley. The sets, either on pedestals or showcases, were incredible, with Tracey's famous ship hat (the one that was on her casket for the funeral) and Halley's lobsters most prominent. 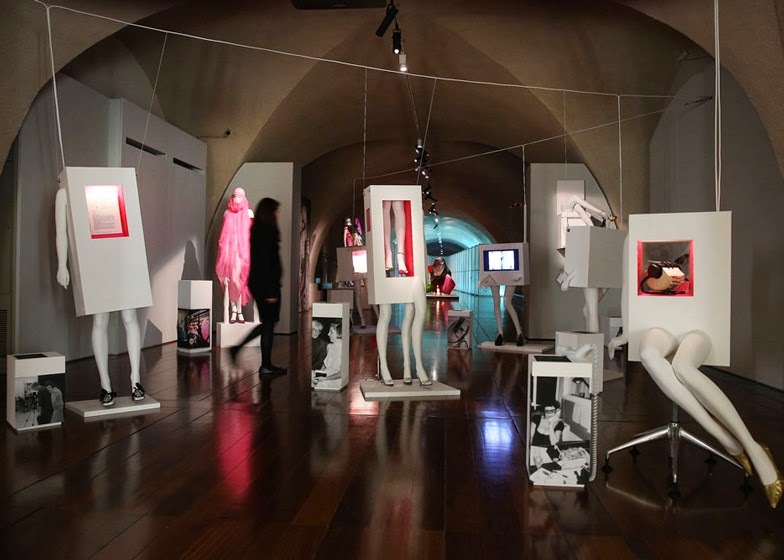 A small flight of stairs on the left was the next room, where Shona Heath created bespoke Isabella Blow mannequins wearing full outfits worn by her, built by referencing archival documentary images. These were displayed on a high pedestal so one had to look up to see them, like worshipping Isabella on an altar. These demonstrated her distinctive, eclectic style and mixing of designer pieces. She was quoted as saying "Fashion is a vampiric thing, it's the hoover on your brain. That's why I wear the hats, to keep everyone away from me”, demonstrating the way in which Isabella wore her clothing as a form of armour. 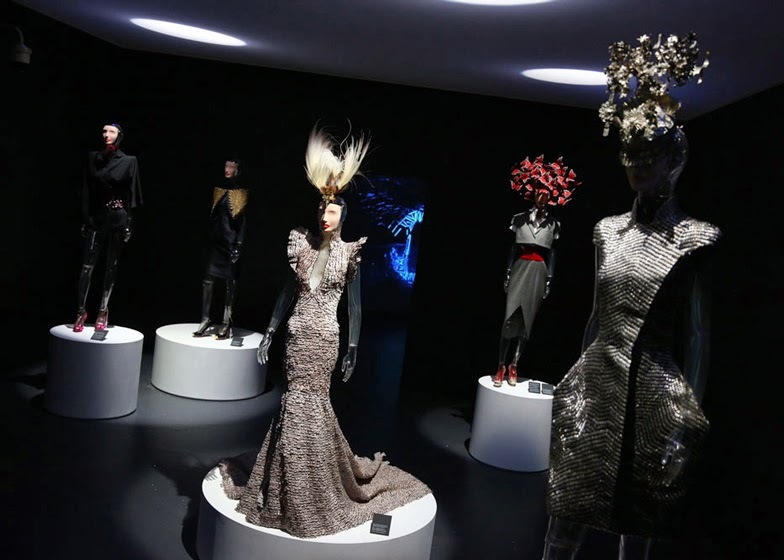 Pieces here included McQueen for Givenchy, Alexander McQueen, Fendi, Philip Treacy, Escada, Teerabul Songvich, Dior, Prada, Jeremy Scott, Benoit Meleard for Jeremy Scott, Viktor and Rolf, John Galliano for Dior, Manolo Blahnik and Marni. Right next to this section was a room dedicated to one of Isabella’s most famous and successful shoots with Steven Meisel for British Vogue December 1993 entitled ‘Anglo Saxon Attitudes’, featuring Stella Tennant, Honor Fraser, Plum Sykes, Bella Freud and Lady Louise Campbell, the first time any of them had graced the pages of a magazine, showcasing Isabella’s eye for spotting talent. Next up was the last section with her own clothes. 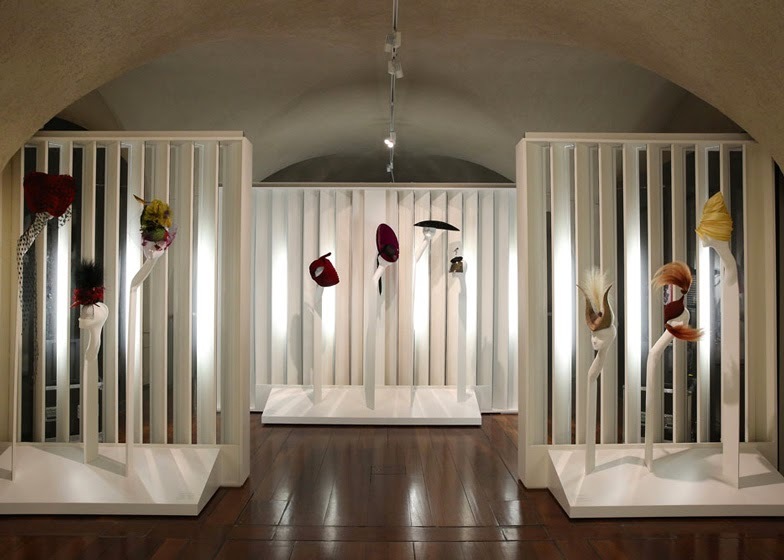 Taken from Isabella’s owns words: “Tip: Always accentuate the head and the feet”, this part of the exhibition looked at the importance that hats and shoes played in her life- she was rarely seen without a McQueen outfit, Treacy hat and Manolo Blahnik shoes. 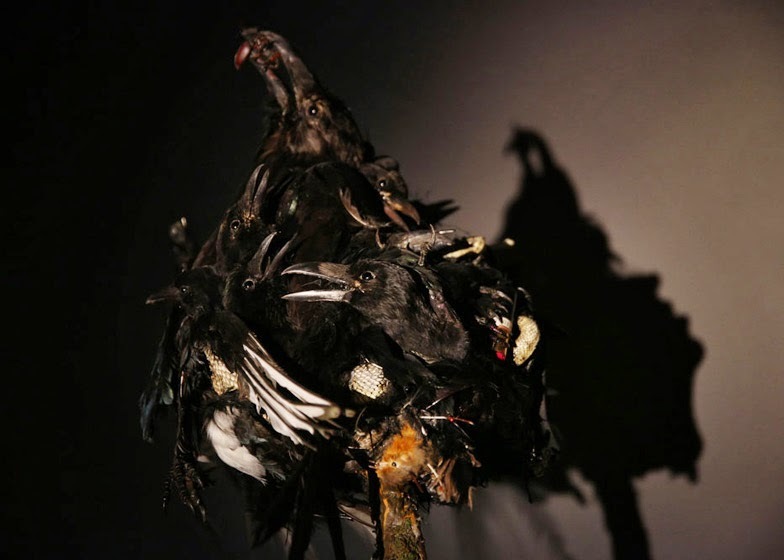 Representing Isabella’s work and urban London life installations by Shona Heath were created to exhibit hats and shoes from her collection. 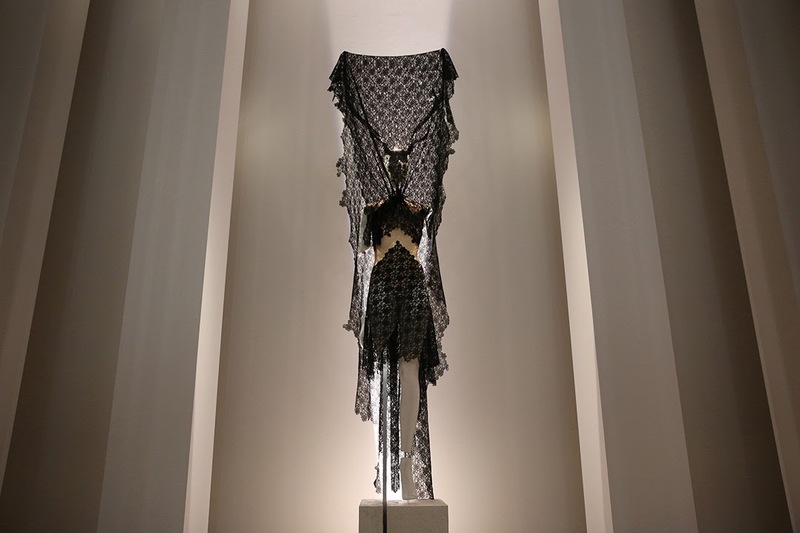 For the final section in the exhibition you had to walk down a flight of stairs again and enter a black space where La Dame Bleue was displayed: the S/S 2008 Alexander McQueen collection that Lee and Philip Treacy collaborated on and dedicated to Isabella after her death. The collection was inspired by Isabella and to end on this note evoked both her legacy and her importance.The selection of outfits shown here was impressive, especially the masterpiece long gown made of small feathers. And if that was not enough to bring tears to my eyes, there was a room at the far end where the video of the show was projected on a wall, so one had the feeling of being there and watching it live. I sat through all of it and was moved profoundly of how much the love that Lee (who would follow her to death a few years later) and Treacy infused the collection. 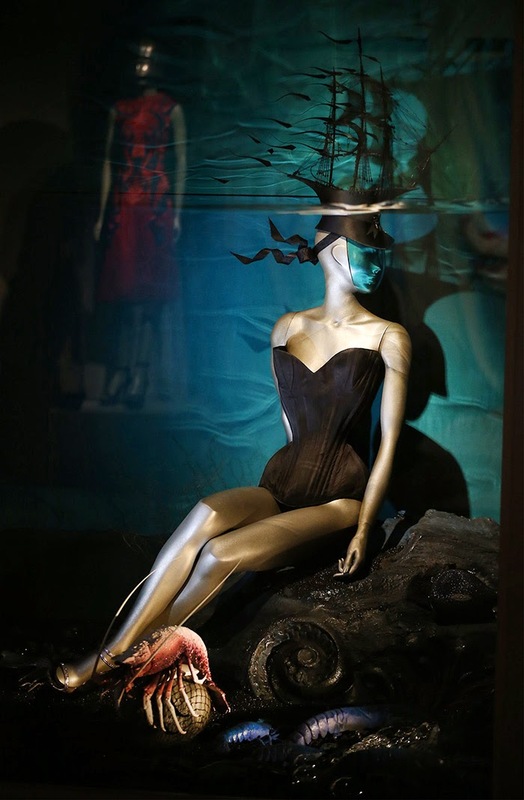 Daphne Guinness said: “This exhibition is, to me, a bittersweet event. 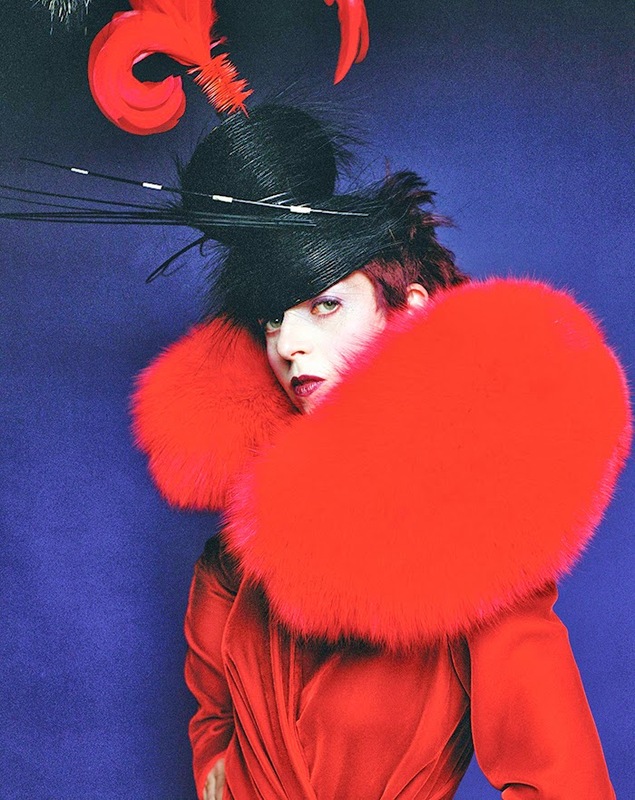 Isabella Blow made our world more vivid, trailing colour with every pace she took. It is a sorrier place for her absence. When I visited her beloved clothes in a storage room in South Kensington, it seemed quite clear the collection would be of immense value to a great many people. I do believe that in choosing to exhibit them we’ve done the right thing – and that it is what she would have wanted. I am doing this in memory of a dear friend, in the hope that her legacy may continue to aid and inspire generations of designers to come”. 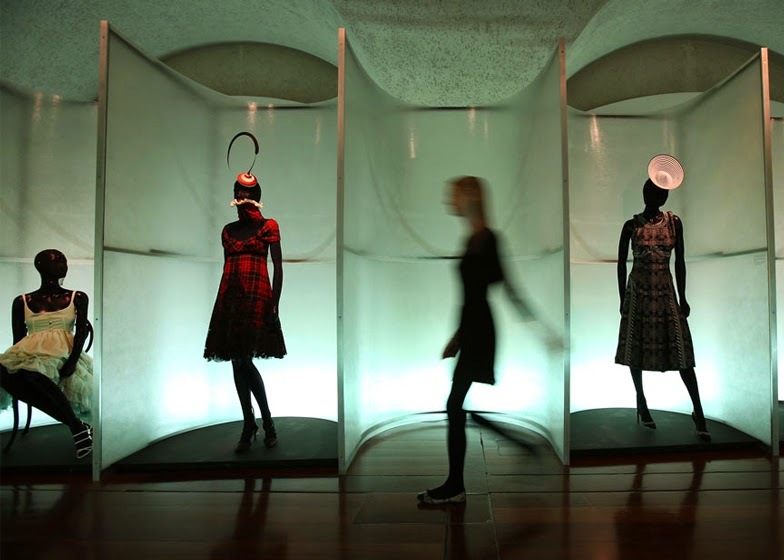 The show was curated by Alistair O’Neill with Shonagh Marshall and designed by award-winning architectural firm Carmody Groarke, with installations by celebrated set designer Shona Heath. Graphic design was by Graphic Thought Facility and exhibition production by Richard Greenwood Partnership. To accompany the exhibition, there was a catalogue with new, commissioned photography by Nick Knight of the Isabella Blow Collection, edited by Alistair O’Neil with essays by Alistair O’Neil, Professor Caroline Evans, Alexander Fury and Shonagh Marshall, designed by Graphic Thought Facility and published by Rizzoli, which of course I acquired, both as a memento of this incredible experience and as a fashion reference and great addition to my library. 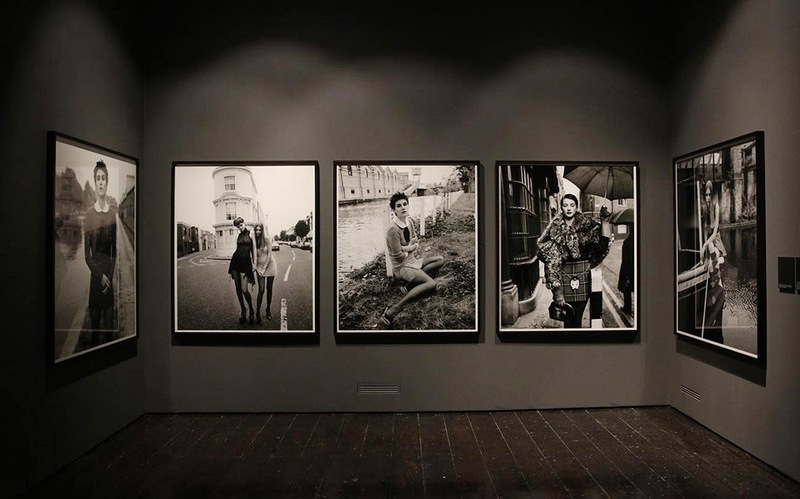 All photos by Peter Macdiarmid/Getty Images for Somerset House unless otherwise credited. I just wanted to let you know that we've recorded a song and made a video in dedication to Isabella & Alexander McQueen, as we are tremendous fans, and this is dedicated to them. Thanks for listening, and thank your for writing about them.